Yantra Tattoos and What You Need To Know. 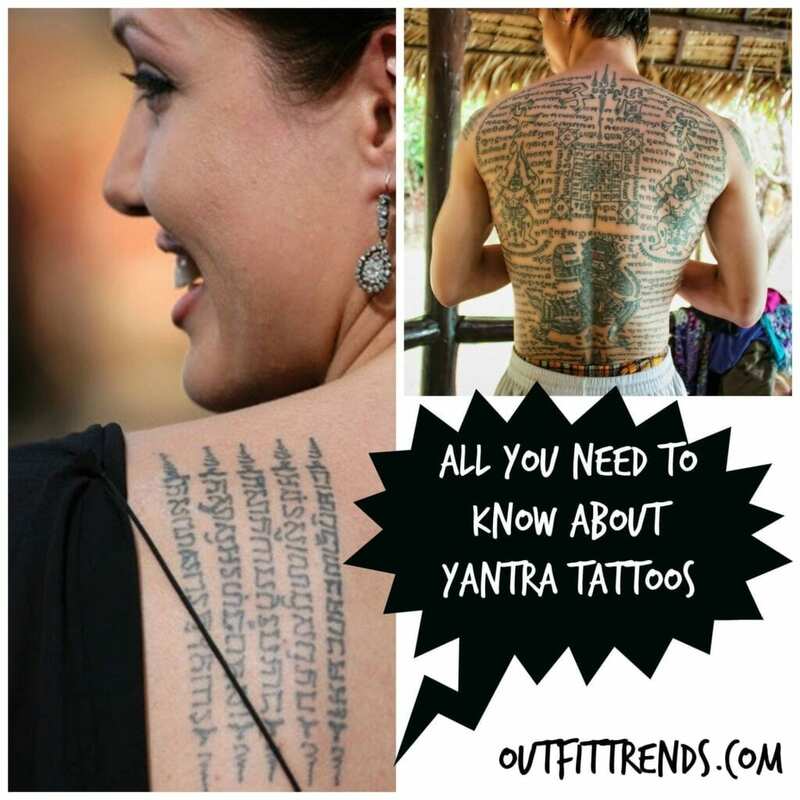 Yantra, also known as Sak Yant, tattoos are much more than just a tattoo. Tattoos to westerners are seen mostly as decoration and Thai people, buddhist monks and people of religion see them as an insult to their beliefs, especially if they are on the legs or lower body and are not respected. Originating in Thailand, this type of tattoo is now ONLY performed in around four places worldwide including Thailand and Myanmar. This post covers what you should know if seeking a yantra tattoo. What Is A Yantra Tattoo? A yantra tattoo is a tattoo performed by Buddhist monks or Practitioners of magic. Usually, yantra tattoo denote certain qualities towards the owner such as power, health, good luck, protection and some are aimed at passers by i.e. passers by should fear the owner. 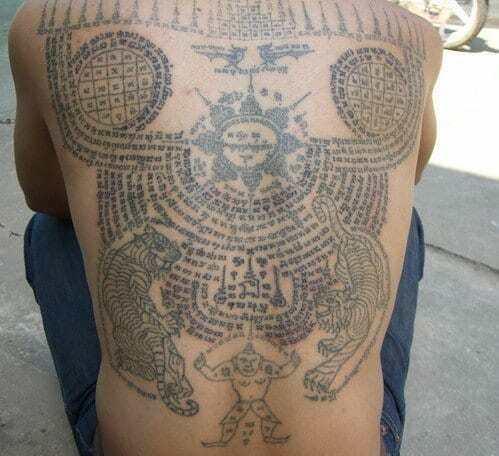 These tattoo consist of sacred scriptures, geometric designs, animals and Buddha. Check out this blog by Matthew Karsten and his experience whilst getting a Sak Yant tattoo – Blessed By A Monk. How Is It Performed? Yantra tattoos are done by the use of a long sharp blade and ink. The blade is dipped in ink and then repeatedly stabbed into the first layers of skin leaving behind a fine line of dots which make up one big image. The person performing the tattoo rests the end of the blade in between the thumb and forefinger for precision. Some yantra tattoos can be finished very quickly. Have a look at this video of a Sak Yant tattoo being performed on the next page. What Is The Cost? Usually money is not crossed with the monks, instead, gifts and offerings such as tobacco, flowers, oils, incense and candles are acceptable payment and the money used to pay for these is put towards the upkeep of the temple. Are There Any Pros And Cons? In religious terms or magic terms, there are no cons to yantra tattoos. They are meant to protect and give good fortune to the wearer and the experience has to be amazing! The only downside is, if you are seeking a yantra tattoo, don’t expect a sterile environment. Although the chances of you getting an infection are very, very slim, make sure you realise that a fresh sterile needle is not going to be an option for you. Although considered a rarity in the western world, you can still see some celebrities with yantra tattoos such as Angelina Jolie. Have a look at the images of some truly magical Yantra tattoos. A full back piece with script, tigers and the nine spires. Angelina Jolie receiving her tiger Yantra back tattoo. Angelina Jolie’s scripture back Yantra tattoo. A Buddhist monk receiving a Sak Yant tattoo. 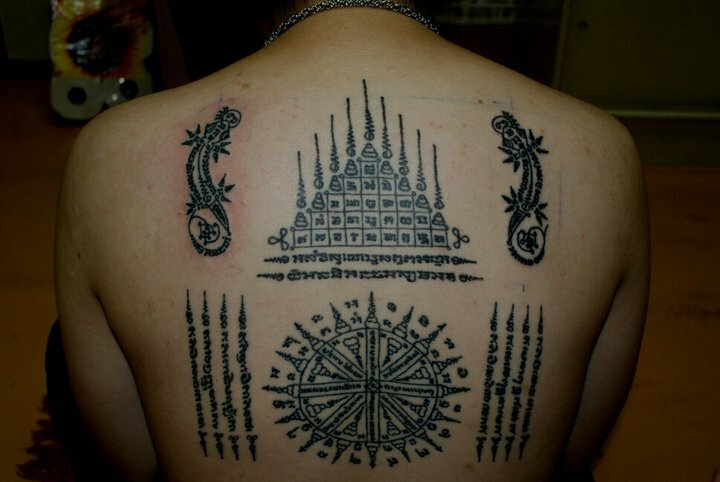 Geckos, scripture and nine spires are components of this back Sak Yant tattoo. Full Yantra back piece with scripture.